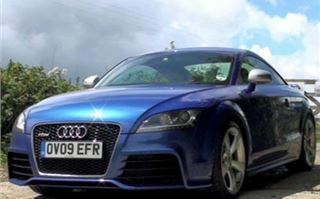 The Audi TTRS has its critics. But it’s not that often I can get into a seriously quick car and immediately feel at home in it. By quick, I mean sub 5 second 0-60 and the ability to pull 100 on almost any short straight. I’m not into exciting cars that demand race driver skill to drift round corners on public roads. I want a car I can drive and control safely within my limited ability. I’m quite happy in a Nissan 350 or 370Z with the ASC or whatever they call it turned off. I liked the Jag XFD, XFR, XK8, but I’m not too sure of the latest XKR, if you get my drift. 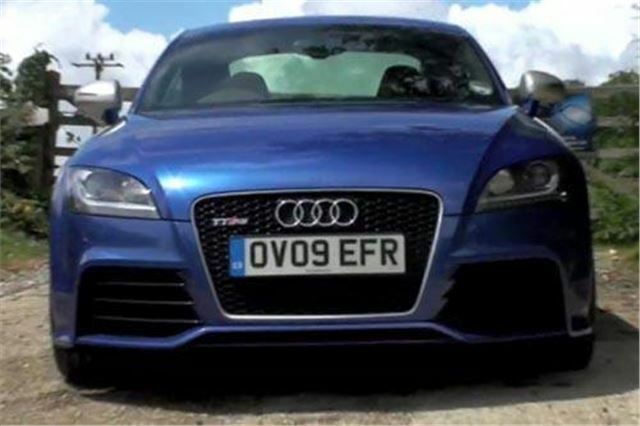 On the other hand, I’ve never felt safer than in an A4 Quattro, S3, RS4 or R8. Get in, toe down, first bend and they just go round. 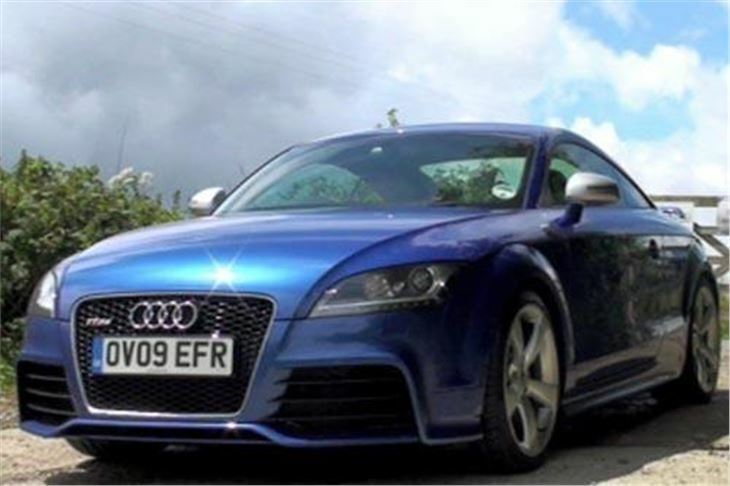 The TTRS is a bit different. It has an extremely compact 5-cylinder chain cam turbo engine unencumbered by the usual plastic cowlings and with plenty of room around it under the bonnet to flex its muscles. It develops a quite extraordinary 340PS from 5,400-6,500rpm, but, more usefully, a stonking 450Nm torque from just 1,500rpm up to 5,300rpm (where maximum power takes over). And while it makes wonderful burbling noises manoeuvring in the carpark, it’s as docile as a kitten. Floor your right foot, however, and that kitten turns into a fully-grown tiger with 245/40 R18 tyres instead of claws. The car leaps forward and howls past clumps of traffic stuck behind Mr Life-begins-and-ends-at-40 in his Honda Jazz. Audi says 0-100km (62.14mph) in 4.6. Since it does 65 in 2nd, to me that mean 0-60 in 4.3 to 4.4. Top speed is 174mph, but electronically governed to 155. This side of a supercar, that is very seriously quick. If you don’t use all of that performance, there’s a good chance you’ll equal the official 31mpg combined. And, unlike the 370Z, it only emits 214g/km CO2, so that’s a mere £215 tax this year and £245 tax next year. Insurance isn’t likely to be so friendly, though. Weather didn’t permit much of a chance to drive the roadster top down. And it’s quite blowy in there. The wind net is back behind the roll bars and gusts trend to blast round the side windows. Top up it’s still a bit noisy cruising at motorway speeds, so if it’s relative peace and quiet you’re after you’d better opt for the coupe. Both cars offer plenty of boot space, for golf clubs or whatever. 290 litres in the coupe extending to 700 litres with the rear seatbacks folded down. No rear seats in the roadster, of course, but still a useful wide, flat 250 litres. 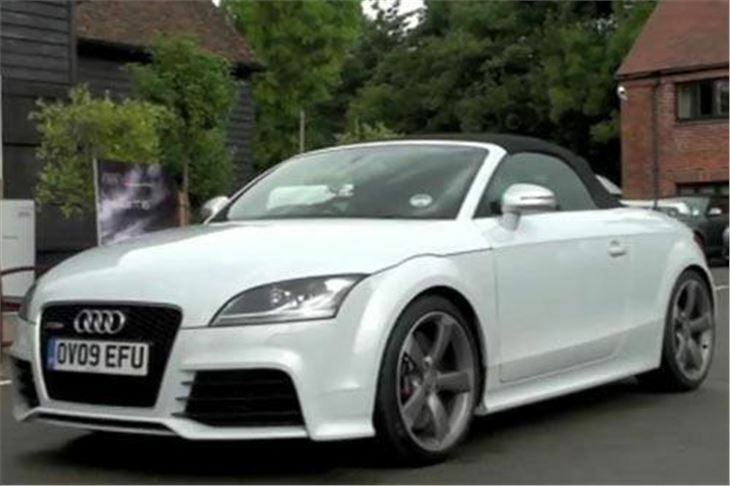 The cars are listed at a hefty £42,985 for the coupe and £44,885 for the roadster. But, unfortunately, that’s just the start. 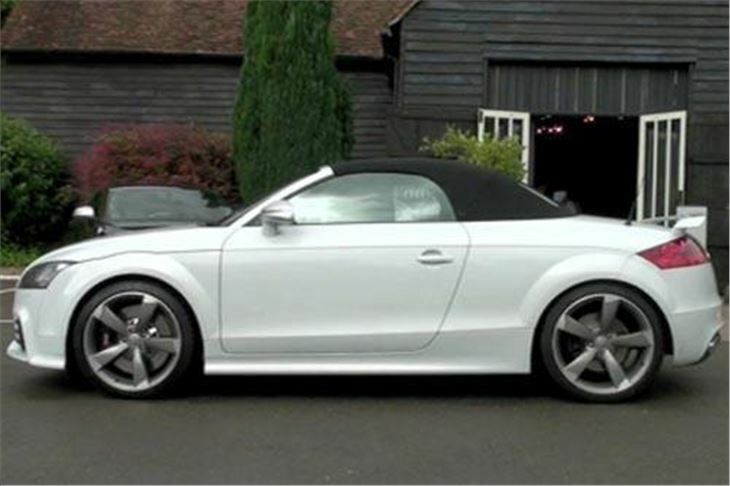 19” wheels with 244/35 R19 tyres are an extra £1,200 and with them Audi magnetic ride is essential at a further £1,125. So already we’re up to £45,310 and £47,210. 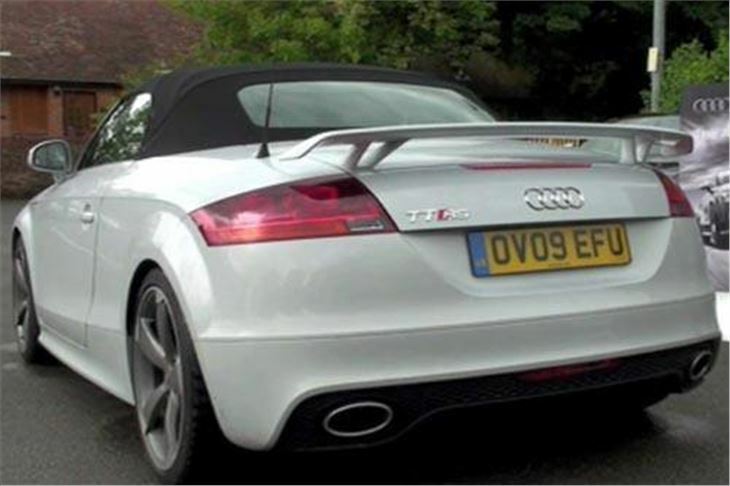 Go for the sports exhaust to get the gorgeous exhaust note of the test cars and you’re into an extra £850. 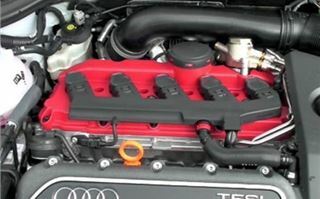 While to remove the 155mph speed restrictor giving a top speed of 174 (and add a ‘carbon design pack’ to the engine bay) is £1,300. Total so far: £47,460 for the coupe and £49,360 for the roadster. The cars we drove had RS bucket seats at £1,580 a pair (or a startling £3,530 with colour matched seatbacks). Old-fashioned DVD Satnav is an extra £1,615. So it’s not hard to get into £50,000 territory. 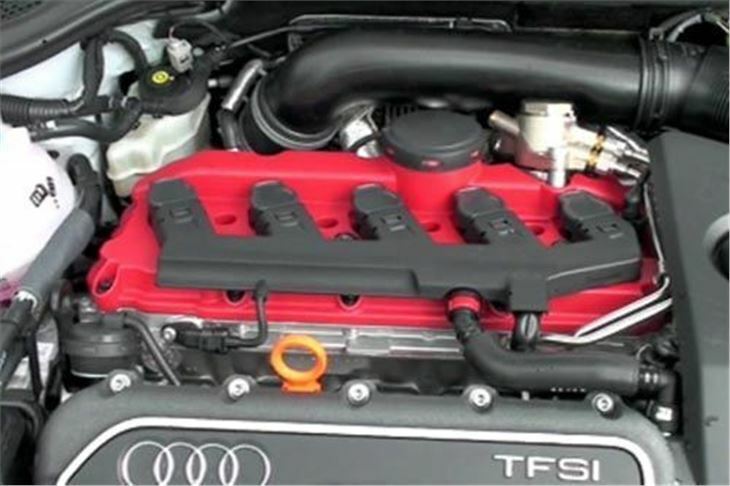 This might be why Audi is restricting supply to 160 coupes and 40 roadsters in 2009, followed by 320 coupes and 80 roadsters in 2010. That ensures exclusivity and defends the prices against discounting, so anyone who does buy one should not lose too much on resale. 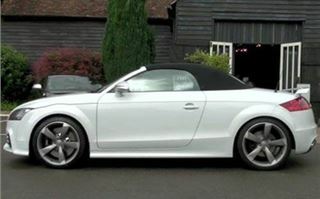 So, brilliant car with a wonderful engine and unlikely to feature heavily on ‘Wrecked Exotics’. But at Porsche Cayman S price levels.